Accutane (click link to learn more). acne and was able to somewhat maintain it with low dose prescriptions and creams, etc. through Rodan and Fields as well as other popular brands products). 1. Nourishing and Moisturizing Cleanser - with ingredients like Truffle Extract and Gold what could go wrong! It goes on smooth and foams up. It cleans my skin in the softest way! 2. 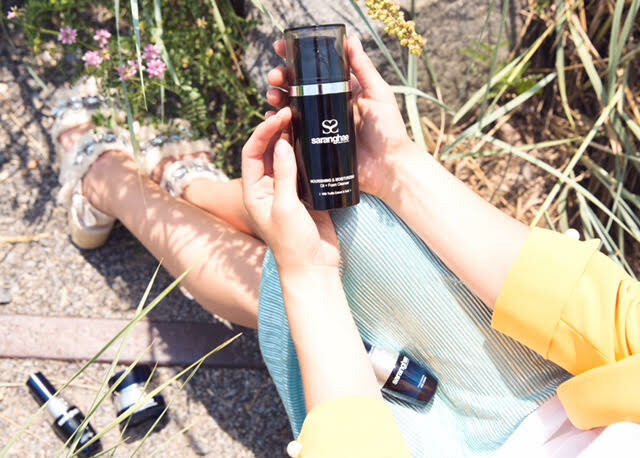 Deep Radiance Essence + Serum - regenerating your skin with Swang Hang mushroom extract, plant based placenta, collagen, elastin and hyaluronic acid, this product delivers! Immediately I feel my skin going to work. It glows in the best of ways, and smells delic. I noticed less flare ups and inflammation from any breakouts. 3. Firm and Lift Cellular Regeneration Cream - By strengthening the collagen, this cream has smoothed out any unevenness and allowed for more of a glow rather than dullness. It really helped to restore the moisture in the best way, rather than causing breakouts ( because I'm naturally oily). 4. Focus renewal eye cream - I ended up using this product only a few time a week. I felt it was just too much for my skin to have all of the creams every time. I noticed a big difference with the puffiness and and darkness under my eyes, and thats always a necessity! 5. Elemental Essence Mask - This is the product you need for that extra mega boost! Infused with CoQ10 and Hyaluronic Acid, Peony Tree, Asiatic Pennywort and Chamomile flower, its the perfect product to use after you've had a big makeup day or even the opposite - before a big day! SHOP SARANGHAE SKIN CARE PRODUCTS HERE!